With Christmas just around the corner, we will likely be spending a lot of time with people, some we really like, and some who are a little more, shall we say, challenging to get along with. How can we approach this busy season with intention in our relationships? 1. Can I Pray with You? How often do we say “I’ll be praying for you” and then either forget altogether or say a little mumbled prayer and then continue on with whatever else we’re doing? What if we stopped and said our prayer right then and there with the person? Let's make praying people a common occurrence! While growing up many of us said our bedtime prayers with our parents, but often that habit of praying out loud, whatever we’re thinking, tends to fade. As we get older, we get more self-conscious, and it might become weirder or more uncomfortable to pray out loud with people, other than a memorized Lord’s Prayer or table grace. Some churches are great at encouraging spontaneous prayer, but I think for a lot of us, it is a struggle. If someone specifically asks you to keep them in your prayers, what if you fought through the awkward and asked, “Can I pray for you right now?” Depending on your relationship with the person, they may say no thanks or begrudgingly say OK, hoping it will be quick and painless, but I think the more we try, the more natural it becomes for everyone. Some people may be surprised at your bold offer, but really value it! When we offer to pray for someone with our own words, or using the Word, we show them we honestly care and take this Christian responsibility to pray seriously. Our words don’t have to be eloquent, long, and easy flowing. Take the pressure off yourself, trusting that God will give you the words to say. Sometimes simple is all that’s needed. For the person struggling, hearing someone else’s words spoken over your situation is so powerful. She may have been praying for herself so fervently, but your words may be the extra fuel or the slightly different way of thinking and believing that she needs to hear in that moment. If you are not face to face with the person needing prayer, go out on a limb and write your actual prayer in a public post if appropriate or a private message. Be careful not to approach it as showing off your prayer for your own ego. But if it is attached to your friend’s public Facebook call for prayer or a shared prayer chain, it can also be an encouragement to others who read your prayer. A text message with your prayer for that person is another great option if you’re too nervous to call and say a prayer out loud. If someone has ever prayed directly for you and with you, you know how comforting and worthwhile this relationship building is. It grows Christian community and brings you both closer to God at the same time. For most people December fills up quickly. Take some time with your calendar in front of you to prioritize who you need to see, who you want to see, and what you have time for. It’s OK if your girlfriend coffee date has to wait until January, but get it on the calendar now. Don’t let those good friendships fade just because you’re busy. This time of year, we may be seeing a variety of people who we are very close to and others not so much. Though we may have good intentions for how we want some conversations to go, we might need to take a step back and determine how our relationship with that person should influence what we say and how we say it. If someone we’re talking with is not a Christian, we have no business expecting them to obey God’s laws. They see no need for following God’s rules if they don’t even believe he exists or is worthy of respect, and they think their conscience is good enough. Yes, we will all be judged equally whether we believe in God or not, but pointing out someone’s shortcomings or a lifestyle that is not God pleasing before that person sees a need for God can sometimes do more harm than good. We must want everyone to come to faith and love God more than we want them to change a sinful habit. If someone does claim to be a Christian, Godly guidance may be appropriate, but consider your relationship first. Telling a relative you rarely see that they should change an un-Christian habit may not be the best way to represent Christ in that moment. We don’t want to come off as legalistic hypocrites who end up pushing them away from their Lord. Jesus stood with the women who was about to be stoned for her adultery; then he told her to sin no more. How can you stand with and build a relationship with someone before guiding them back to the Way? How can we better see people as loved by God instead of an agenda to fix first? How can you walk alongside someone else who has a stronger relationship with that person? Everyone needs to see their need for a Savior before they can repent and come to Jesus, so how can we best model love and forgiveness before judgement and critique? Our calendars fill up quickly with the things to do, places to go, and people to see, but don’t forget those who might not be first on your list. Because holidays are so relationship-based, it can be a hard time for those who feel lacking in that area. Singles, widows, people separated by distance for work or for serving our country, people who are new to town and missing friends, people in strained relationships, people who have lost someone dear to them no matter how long ago. Think of what you can do to reach out to the lonely people in your life, and show them they are not forgotten or alone. A note, a special treat, or an actual meetup might just mean the world to someone who is not feeling the holiday cheer. Tell them you care and that their heavenly Father is always with them. God created us for relationship With Him and with each other. Let’s intentionally work on showing it better. The dialog went back and forth with some friends during a book discussion on Redeeming Love by Francine Rivers, set in the 1850s during California’s gold rush. It is a story of rejection, redemption and restoration. The allegory, based on the book of Hosea from the Bible, relates the timeless story of love between God and man. It reminds us of the deep well within each person that cries out to be filled with unconditional, redeeming love from God and from others. But the main character is so hard to love. The reader just wants to give up on her. It is easy for us to love some people. Others not so much. Does it please God when we just give up? Oh, how we wish, because it would make life so much easier. But God wants us to love more, to be more like him. We are called to love those who are hard to love. In Luke 6:32, Jesus says “If you love those who love you, what credit is that to you?" Jesus goes on to issue this challenge to his followers: “But love your enemies, do good to them” (Luke 6:35). Jesus has given us the ability to love everyone, even those we think you can’t love. But how? Do we just put on a smile and make fake conversation until we can make the quickest exit? Scriptural directives call us to a greater love. Each day, pray for God help to see others through his eyes. He created each one of us, and it’s His kindness that leads us to repentance. When we start to see people the way God sees people, we begin to treat people the way God treats people. If you’re really struggling to love one person in particular, commit to praying for him or her every day. It’s nearly impossible to hate someone if we’re constantly asking God to move in that person’s life. None of us is perfect. We can be hard to love, too. Think of how you would want to be treated in this situation, and treat that person the same way. A humble spirit brings us more clarity. It also opens the door to forgiveness, understanding, and opportunities to reflect Jesus. When someone offends us, we often want to strike back. Give the situation some time to simmer down. Hold on to that retort and squelch the desire to retaliate. This psalm reminds us not to fret when people succeed in wickedness. Wait on the Lord. Trust that he alone gives answers through your patient endurance. Holding a grudge against someone locks us in a personal prison. Colossians 3:13 is a reminder to bear with the failings of others, and to forgive one another. A forgiving spirit unlocks the door to greater ability to empathize with those around us. Remember the un-payable debt Jesus paid for you? Turn around and offer the same grace! You will indeed be free. Jesus was in high demand. He worked day and night. Crowds of people pressed in on him. He had compassion toward everyone, but he also had an inner sanctuary of twelve disciples. Loving someone doesn’t mean you have to be that person’s best friend. We can love even the most difficult people by being kind, meeting their needs, and showing them respect. Jesus said people will know we are His followers by the way we love (John 13:35). The ability to forgive anything and love anyone is a uniquely Christian characteristic. Loving people who don’t love us back can feel thankless at times. But we have a Savior who can relate. Jesus loved us before we knew who He was or wanted a relationship with Him. Which challenging person in your life needs love? How can you show it today? Are you thriving? Got relationships? Why did you choose this person? Chances are your answer had something to do with: loyalty, dependability, solid Christian guidance and counsel, trustworthiness, honesty, faithfulness. I would also posit that the person you chose is someone you have known for a while. We typically don’t learn that someone is loyal, dependable, wise, trustworthy, honest, or faithful until we have been through some of the hills and valleys and battles of life with him or her. Sociologist Brene Brown’s research suggests that the only way to build connection with someone is to spend time together. And over time we become vulnerable, and through these vulnerable experiences we learn that we can trust this person. Then we have an authentic, solid connection. Authentic relationships with solid connections cannot be rushed…they take time to build. In our sometimes busy, hectic world this can be challenging. We feel guilty if we take time to play a board game with family or friends on a Sunday afternoon when there is laundry to be done and dinner to be cooked. Who has time for a slow, meandering walk with a loved one? Let’s walk briskly, get our steps for the day in and then move on to the next item on our list. Relationships take time. We are a self-sufficient, independent society. We are supposed to be able to float our own boat; we shouldn’t have to need anyone. And yet, that is not how God designed us. In his Master plan we are all one body with many parts, and those many parts are inter-dependent. Like it or not, we need each other, we were designed that way. In our flawed sin-filled world those relationships we crave will be imperfect. People will let us down and we will certainly disappoint others. That’s when we can be vulnerable. We can say, “I’m sorry, please forgive me.” And similar to a broken bone that becomes stronger after it is healed, our relationships get stronger as they weather the storms and trials of life. Some of the world’s happiest people devote significant time to relationships. The research on thriving repeatedly supports that people who are well and thriving have authentic relationships with others. I often reflect on my time in poorly developed, third world countries. I am in absolute awe at the happiness and contentment of people who have so little. Most often these very happy people who have so few material possessions or comforts of life are overflowing in relationships. They have faith, family, and friends. If relationships only grow and get stronger as we spend time with people and learn to trust them through our vulnerabilities, this same truth exists when we consider our relationship with our Heavenly Father. We can’t rush this relationship, either. It will fail to thrive and grow stronger if we don’t spend time on it. In this relationship we can be vulnerable, confess our sins, and trust that a loving God has already forgiven and forgotten. We need this assurance every day, not once a week, or twice a year. 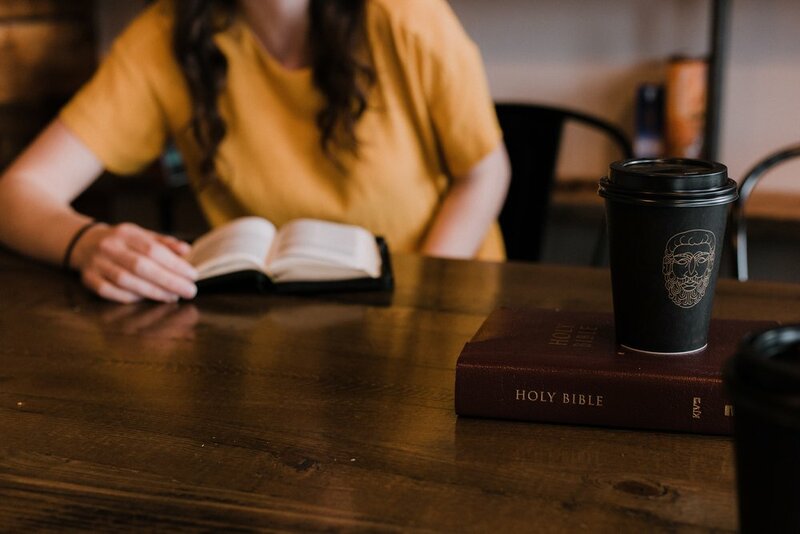 Over the next month, I encourage you to find five minutes in your day when you can tune out the busyness of the world, snuggle up in your Heavenly Father’s lap with “The Good Book”, and just read. Read the message he wants to share with you and His world. I suspect you will find it difficult to stop after five minutes and you will long for more time to spend nurturing your most vital relationship.